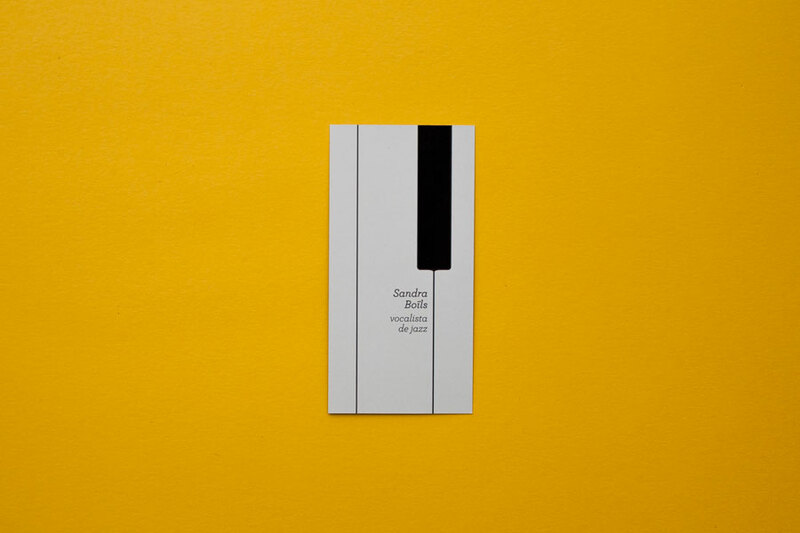 This business cards were created for a Jazz Vocalist from Valencia (Spain): Sandra Boïls. She needed something simple and elegant, so we proposed a monochromatic design with simple graphics and typography. But, but as Josh said on his blog waitanotherday.com, what really makes them lovely is the repeating piano key pattern that forms when the business cards are layed out side by side.